I love this! It is probably one of my favorite items I have ever purchased. Peaches Pecans and Amaretto is outstanding on toast, on crackers, on waffles, on just about everything! Outstanding product we found when vacationing in Hilton Head. Love it! 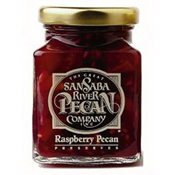 From deep in the heart of Texas come incredible fruit preserves produced by the San Saba River Pecan Company. 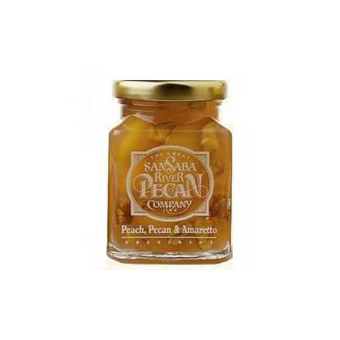 Made in small batches with juicy ripe peaches and glorious San Saba pecans, they are made even more special with the addition of amaretto. One food critic writes, "Not To Be Preserved, But Eaten Immediately". We absolutely agree! The trio of flavors meld into the perfect preserve for breakfast breads, pancakes and waffles, and vanilla ice cream.